Red or white potatoes can be used for this grilled potato wedges recipe. The reds have a waxy texture, while the whites are more dry and mealy in texture. 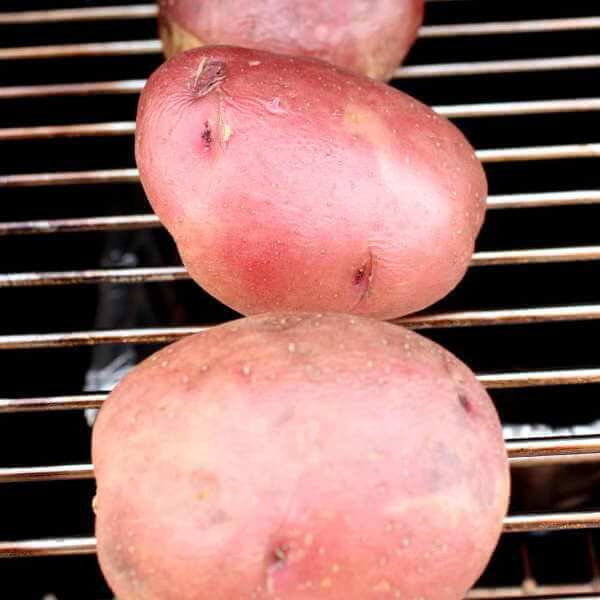 I prefer using red potatoes for this recipe, since they seem to be a little moister after being grilled. Cut the potatoes in half lengthwise, then cut each half lengthwise into 3 or 4 wedges. Coat with oil. Mix the spices together and season the wedges. Sprinkle on salt to taste. Over medium heat, grill the potato wedges until they have browned and are done inside. Remove them and place them in a baking pan. Cover with the cheese and put the pan in the grill until the cheese has melted.